Daunted by decanters? Need help navigating a restaurant’s wine list? Beppi Crosariol is here to answer everything you wanted to know about wine etiquette. If you have a question you don’t see the answer to here, send it by e-mail. And don’t forget to tip your sommelier. Do all wines benefit if you let them breathe? How long before serving should I decant a red wine? If you decant a newer bottle of wine for a period of hours, would it equate to years of age? Should I let screw-cap wines breathe after opening? Can a blender turn plonk into a fine wine? How should I remove the capsule at the top of a wine bottle? When pouring wine, how high should the level be? Would I be crazy to make ice cubes from some of my wine, to help chill the wine glass? My husband says I'm wrong to add ice when I'm sipping wine outside. Who am I hurting? I want to use wine in a recipe I'm making for guests who are Muslim and don't drink. Will the alcohol burn off? How should I handle a dinner guest's proud gift of homemade Château Plonk? 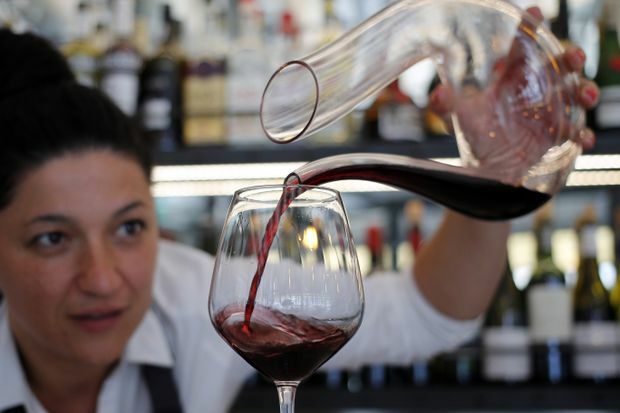 What’s the correct way to tip a sommelier? I’ll be attending my first formal wine tasting, hosted by the winemaker. Any advice? I’ll be having a prix-fixe menu at a two-Michelin-star restaurant. How do I make the most of my interaction with the sommelier? As host at a large restaurant gathering, I fear I’ll have to order wine for the table. What do I do? How do I get the waiter to choose me to taste the wine? What’s the best-value wine to order in a restaurant? What can I say when my server clearly pours too little wine into my second glass? If there’s cork in my glass, should I send the wine back? Our friends brought wine from their cellar to a BYOB restaurant - do we owe them in return? Waiters always give me the stink-eye when I try to send back an oxidized glass of wine. How do I deal with it? Is asking for chilled red wine a faux pas at a restaurant? A restaurant served us a chilled bottle of red tempranillo. We insisted on having it at room temperature. Who was right? What bottle should I take to my wine-snob boss’s dinner party? 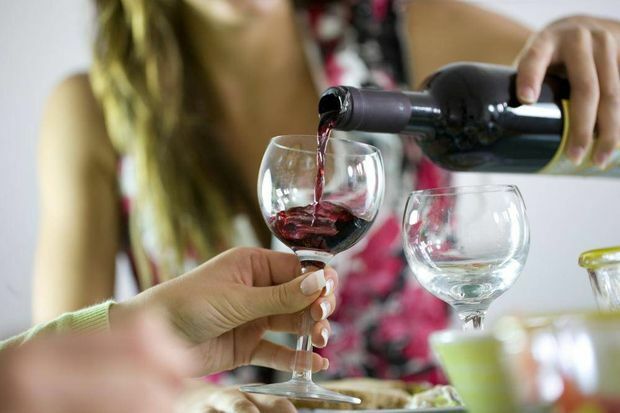 Do we bring wine to dinner if our hosts are abstaining? How much wine should I buy for a wedding reception? 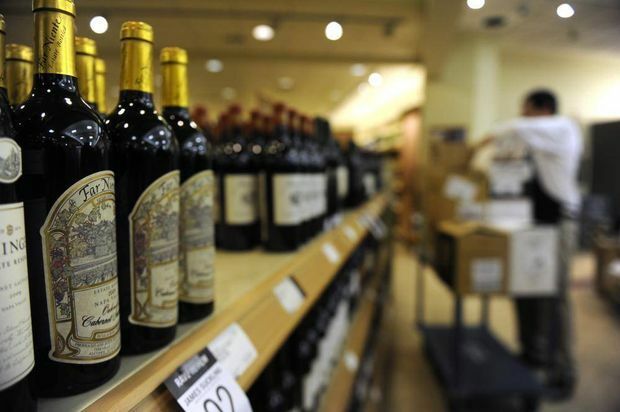 Does bringing screw-cap wine to a party look cheap? How many bottles do I bring to a dinner party? Can you suggest ideas for a wine-tasting party? How do I make sure the fine wine I bring for a host to stash away doesn’t get guzzled by other party guests? How do I pack booze for the beach? No. That’s true only of animals, carburetors and outhouses. In reference to wine, breathing is a colourful term for oxidation, or “degradation” in the presence of oxygen. Too much oxygen contact for too long will spoil any wine, but I placed the word degradation in quotation marks because many experts believe brief air exposure can benefit many wines by giving lift to pleasant aromatic compounds. Just as important, breathing can help blow off unpleasant volatile substances that plague many wines, such as acetic acid (the vinegary smell), hydrogen sulphide (sewage-like odour) and sulphur dioxide (struck match). All of this can be accomplished either by decanting into a separate vessel such as a jug or by agitating the wine in the glass through that pretentious swirling manoeuvre. Simply popping the cork and letting the wine sit for several hours in an unsealed bottle does little, I'm afraid. The surface-to-air ratio simply is negligible. 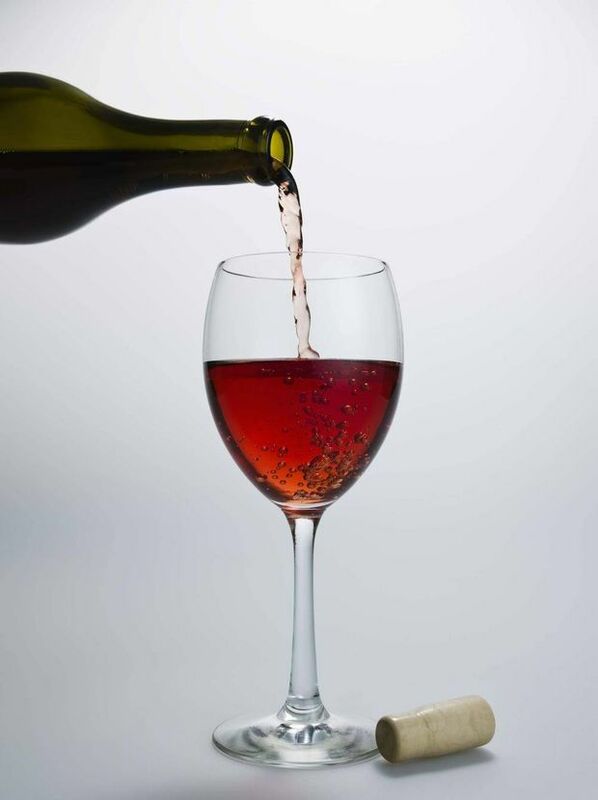 Often when wine professionals want to serve an aerated wine in its original bottle, they "double decant," which is to say pour the wine into a decanter before funnelling it back into the fancy bottle, thereby achieving the requisite sloshing. But I should stress that the benefits of breathing are a matter of debate. Some experts believe that the moment a bottle’s unsealed the wine begins to decline, muting aromas from the get-go. (Pleasant smells are in the nose of the inhaler, alas, which is why the jury is out.) My impression? I believe breathing does provide one clear benefit aside from possibly enhancing aroma: It can soften the texture of an otherwise harsh young red. And this is the key reason I might sooner choose to decant young wines than old. The main reason connoisseurs decant old wines is to separate liquid from the sediment that has precipitated out of solution over time. They leave the bottle upright for several hours to let the sediment settle at the bottom, then slowly pour into a decanter, being careful to leave the muddy, cruddy last ounce or two in the bottle. Although it may seem counter-intuitive or contrary to popular practice, decanting old wines is in my opinion more likely to injure an old wine than a young wine. The more mature the vino, the more fragile its character. Agitate it too much or let it sit in contact with air for too long and it will end up tasting like a prune wrapped in crumbly old cigar-tobacco flakes. Opinions vary on decanting rituals (some sommeliers even decant Champagne! ), but for most reds I would recommend about 30 minutes before dinner, and this is for a reason you might not expect. There are two main reasons to decant a wine into a separate vessel. One is to separate the liquid from its bottle sediment, which is mainly a concern with old wines. The second is aeration, and I’m guessing from your question’s wording that this may be your chief concern. The flavour of many wines – particularly young, tannic reds, tends to improve with a bit of exposure to oxygen. That’s why many wine-specific decanters are big and shaped with a wide midsection – to maximize surface area at the 750-millilitre level. While it's true that more surface means better interaction with oxygen, you've in fact accomplished a good deal of aeration simply by letting the bottle's contents slosh down the decanter's neck when pouring. A few seconds of aggressive agitation are worth hours of still life in a decanter. (Think of it: There's more aeration happening at Niagara Falls than at a stagnant pond or reservoir.) So, no need to decant, say, six hours before dinner unless you cherish the sight of a filled decanter and the Pavlovian anticipation that comes with it. There is a third and less often considered reason for decanting: heating. A good cellar temperature is a tad too cold for red wines at the table. Decanters draw in warmth, both through the air as well as through glass that is generally thinner than that of a wine bottle. In half an hour, your bottles should reach a more agreeable drinking temperature, though keep in mind that lighter reds generally taste better cooler than do, say, cabernet sauvignon or syrah. I have been generalizing, of course. Older wines are more fragile than young. This is something that even many serious collectors and self-proclaimed experts don’t appreciate. If in doubt, try this: Taste a small pour from the bottle first (no harm in that). If it seems closed and muted, then by all means give it a whirl in your fancy crystal. On the other hand, if it ain’t broke, don’t decant it. Maybe not years, but in some cases you can improve the flavours by a few dollars. By pouring a bottle into a decanter (or any jug you may have on hand), you’re aerating the wine, or exposing it to oxygen. This helps soften astringency and amplify fruitiness. Commonly, this is done with precious older wines, though often for a different reason. Fine old wines tend to contain gritty sediment, which has precipitated out of solution over time. Decanting permits you to carefully pour off most of the liquid while keeping the sediment at the bottom of the bottle. tes the aging process, mimicking the oxygen exposure that occurs slowly through the pores of the cork over years and can render the wine softer (especially if it’s a tannic red) and more complex. So, it’s often beneficial to decant a young wine. I’m not aware of any formula worked out by scientists that would translate decanting minutes or hours into equivalent years of cellaring. In any case, it would depend on the style of wine. 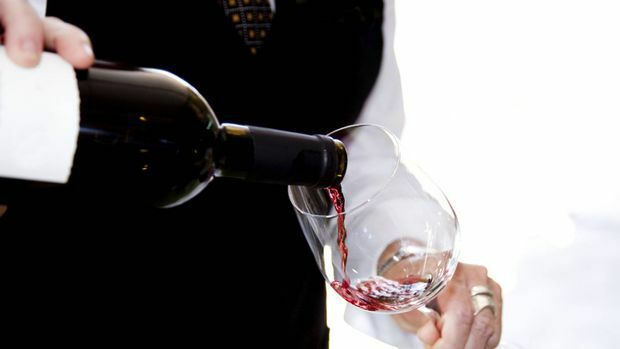 Lighter and less tannic reds, such as pinot noir, take less time to “evolve” in the decanter than, say, full-bodied, astringent wines, such as cabernet sauvignon. It also depends on the producer and the region where the wine is made. Generally speaking, expensive, classic reds such as top-flight Bordeaux would need longer time than softer New World reds from California or Australia to come into their own. If I were you, I’d let that bottle breathe. Screw-cap wines generally benefit from more aeration, not less, than cork-sealed wines. Exposure to oxygen imparts two key benefits. Mainly, it helps soften the texture and enhance fruity flavours. Decanters are designed specifically for this purpose, with wide bowls to maximize the wine’s surface area as it sits on the table. Young wines as well as old, whites as well as reds, can improve with air contact over a few hours (beyond about eight hours a wine can start to fade). Yes, this applies even to wines that are “ready to go.” Not that you need to go out and spend a bundle on a decanter to enjoy wine. Just pour and go; it should taste good regardless. Aeration also can rectify a wine flaw that's most commonly encountered with screw caps rather than corks. It's called hydrogen sulphide, an unpleasant odour that can reek of rotten eggs. The chemical, though harmless, can be produced during fermentation, typically by yeasts that have been starved of energizing nitrogen. If the winemaker is not on top of the situation, H2S becomes trapped in the bottle. Corks are slightly porous, so they permit the compound to escape over time, usually before the wine reaches the table. Screw caps, on the other hand, are much less forgiving. The H2S can't escape. So, when you twist open the seal, you might detect an unpleasant odour. In extreme cases, the wine can smell of sewer gas. Because H2S is highly volatile, it blows off rather quickly after the seal is broken. If you smell rotten eggs, don’t recap the bottle. Let the wine breathe for a couple of minutes or slosh it around in your glass. All should be well. The blender trick was getting some ink in the press. For this we can thank (or blame) Nathan Myhrvold, former top technology executive with Microsoft Corp. He’s a mathematical genius, not an appliance technician, and his interest in this matter of great human importance springs from his love of food and wine. (Dr. Myhrvold would take long leaves of absence to study at cooking schools in Europe, as I recall from my days as a technology editor.) He also is co-author of Modernist Cuisine: The Art and Science of Cooking, a $500, six-volume reference that established him as a star in the world of molecular cuisine (potato foam, anyone?). He calls the blender trick "hyperdecanting," sort of like hypertext's answer to wine. I call it a wine smoothie. Pour the bottle into your Osterizer, switch it to high for 30 to 60 seconds, then wait for the foam to subside. 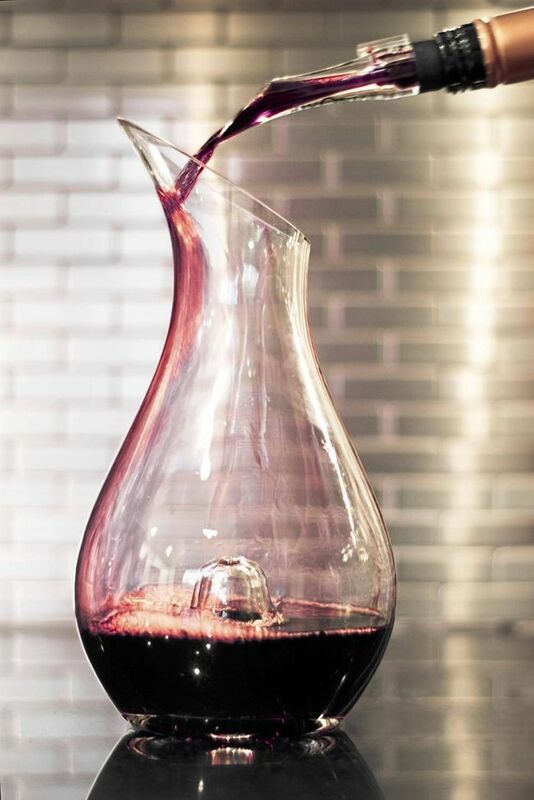 The idea here is to aerate the wine aggressively, vastly accelerating the process accomplished by a decanter, which is just a wide pitcher. Exposure to air can improve the flavour of most wines, though if the wine is left out for too long (hours or days) in a decanter, it will spoil, of course. The blender trick can work, softening harsh tannins and rendering the wine mellower and fruitier. But it's not likely to turn a bottle of plonk into Château Mouton. The improvement, if you detect any at all, will be subtle. If your wine suddenly develops nuances of blueberry or banana that weren't there already, it likely means you didn't adequately clean the blender after your morning smoothie. Truth be told, the concept is not that revolutionary. People have been trying to accomplish the same results in an unplugged way by beating vigorously with manual whisks, just as though they were making a wine soufflé. I have a little whisk designed specifically for wine, with a handle that doubles as a bottle stopper (try fitting that combination on the top shelf of your fridge!). And I had come across the blender trick before Myhrvold gave it a gazillionaire-scientist’s credibility. Amateur sommeliers have come up with all sorts of ways to improve the drinking experience. I have a cousin who swears by microwaved Cognac, insisting that a short nuke is a more convenient way to warm his snifter than cupping the drink in his hands (as Cognac geeks do it). But I love that Myhrvold is shaking up, so to speak, the often far-too-precious world of wine by pulling it out of formal dining rooms and into the relaxed, mix-it-up atmosphere of the kitchen. And here’s the best thing: You can serve the wine straight from the blender jug, which comes with a convenient beer-mug handle. How’s that for an ice-breaker at your next dinner party? Just tell your guests it’s Château Microsoft. Just strip the whole thing right off. Don’t bother cutting it the fancy, laborious way with a tidy circular slice near the top. I don’t know who came up with that tradition, but it serves no good purpose. In restaurants, waiters like to preserve as much of the bottle’s original look as possible, leaving most of the capsule on the neck for presentation purposes. At home, one need not be so artful. I simply take the little knife-like blade on a classic “waiter’s friend” corkscrew (those contraptions that look like a Swiss Army knife), insert the sharp point under the base of the capsule, where it meets the glass on the neck, and flick outward to start a tear. Then I strip the torn end upward in a circular motion to remove the whole shebang. Flick and strip – it’s faster than cutting a perfectly round cylinder off the top and, for what it’s worth, I think it makes the bottle look cleaner. Serving size has been of mounting concern ever since the wine-obsessed world began moving away from rinky-dink glasses to the much bigger, more fashionable bowls you see everywhere. A standard wine pour is about five ounces, or 150 millilitres. So, if you want to be geeky and precise about it, grab a measuring cup, fill it with 150 millilitres of water and decant into your wine glass to gauge the correct level. Or, of course, try it with actual wine if you’re short on water. Many stemware makers today design glasses in such a way that the correct fill level corresponds with the bowl's widest circumference. This maximizes the liquid's surface area, helping to aerate the wine and amplify the pleasurable aroma. It also leaves plenty of air space to accommodate a vigorous swirl of the stem, which further intensifies the scent. If you’re still unsure based on the overall size or contour of your particular glasses, a good rule of thumb is to fill one-third of the way up. Never fill to the rim unless you’re using informal tumblers designed for juice or whisky. Or unless you’re my waiter. Crazy? Genius is more like it. You’ve come up with a cool solution to an age-old problem, the warm-wine blues. Wine preserves well when frozen, reaching a state of suspended animation. Like most foodstuffs, it will survive more or less intact for a much longer period than, say, in the fridge. Some people have been known to preserve leftover wine the same way for use in cooking, stuffing a tray-full of cubes into plastic freezer bags. It would be wise to use the same wine for the cubes as the liquid you intend to enjoy. This would better preserve the flavour’s integrity. But you could also simply opt for a similarly styled wine – say, one frozen Chianti for another brand of fresh Chianti. Or you could mix and match if the experimental mood strikes, plopping a red cube into, say, a glass of cheap pinot grigio to create an evolving rosé that gets darker as the ice melts. No harm in that as long as you’re willing to suffer through the occasional stylistic blunder. Most important of all, don’t let those cubes linger long enough to acquire freezer burn or fall prey to unwanted odours from that poorly wrapped bundle of pork ribs. My husband says I’m wrong to add ice when I’m sipping wine outside. Who am I hurting? Only the winemaker's feelings, but that shouldn't be a problem unless your husband is the winemaker. I say stand your ground. What do husbands know anyway? If I had to choose between a slightly diluted or overly warm wine, I'd choose the former. Shifts in temperature can significantly alter wine flavour, tipping the balance to where it can taste unpleasant or at least not like it was made to be enjoyed. We chill whites to enhance perceived acidity. As the wine heats up, the acid level appears to dip, which in turn raises sweetness. Ever drink lukewarm Coke? Three words: real bad thing. When it comes to red wines, heat again plays a distorting role, lowering acidity but also bringing out the alcohol in a “hot” or medicinal way. You may also sense stronger bitterness from the tannins. As many winemakers and sommeliers will tell you, even in winter most red wine is consumed too warm – room temperature of 21 degrees instead of a more appropriate 16 or 17. Let a red sit on an exposed patio table for half an hour and the dark colour will absorb lots of solar heat, turning your zinfandel into zinfanhell. It’s best to chill wine from the outside, of course. An ice bucket works well for a bottle providing you remember, in the case of red, to keep the bottle in only briefly. As red wine gets too cold, the pleasant aromatics disappear and flavours become muted. Although an ice cube may seem sacrilegious, you might be surprised at how little the flavour suffers from the resulting dilution. Not that I’d perform the ice-cube trick with a glass of Lafite; if I were rich enough to afford such a wine for casual patio sipping, though, I’d be freeze up a few ice-cube trays using the Lafite itself. When I want to control and minimize the dilution (as in the case of a more expensive wine), I drop in a cube and stir for a few seconds before scooping the ice out. In a word, no. At least not all of it. Alcohol has a lower boiling point than water. That’s how it got the reputation for burning off during cooking. But varying amounts of alcohol invariably remain. A study published many years ago in the Journal of the Academy of Nutrition and Dietetics put six alcohol-containing recipes to the test. It found that foods retained between 4 per cent and 85 per cent of their alcohol depending on the preparation methods. As you might suspect, techniques that involved high evaporation, notably long-simmered dishes such as pot roast, retained less alcohol than those that were either uncooked or briefly heated. And the larger or wider the pan, the more efficient it was at getting rid of alcohol, presumably because of the increased surface area of the liquid. If you’re going to respect any guest who as a rule abstains from alcohol, cooking with wine (or beer or spirits) is not an option. Consider adding stock or water instead, assuming the recipe can tolerate it. If you’re thinking of coq au vin or some other wine-heavy dish, don’t even bother. How should I handle a dinner guest’s proud gift of homemade Château Plonk? One good way would be to pretend that you lost your corkscrew and can’t open it. But I suspect that excuse wouldn’t fly for long, given that your guest is likely to return at some point, “helpfully” brandishing his or her own corkscrew. Me? I'd give the wine a try. One never knows, even if most homemade wine is like an ugly baby – beautiful only to the proud parents and to heaven. You could, if so inclined, treat it as an educational exercise, the way I do with inferior commercial wines. It could help hone your palate. Analyze its potential faults. Is it tainted with too much volatile acidity? That’s the vinegary aroma and flavour common to some poorly made wines. Is it spoiled with brettanomyces, the manure-like essence often associated with poor sanitation and bad barrels? Is it simply too thin and simple, with no mid-palate oomph? Recently, my neighbour's father, originally from southern Italy, presented me with a bottle of his red, pressed from California grapes. (Getting asked for homemade-wine flattery is an occupational hazard in my line of work.) You know what? It was soundly made and free of technical flaws. I could imagine enjoying it with hearty, robust fare, such as grilled sausages. Not painful at all, if not up to the standards of most wines I review. It also seemed to me much more successful than most cuvées produced at u-brew outlets, the ones fermented from stored pails of imported must crushed from factory-farmed fruit. I tend to dislike those wines, though many happy customers and owners of such facilities would be up for a lively debate. With money! Bazinga! But seriously, borscht-belt humour aside, the standard way is simply to tack on a little extra to the regular tip you leave for the food server. At fine restaurants, tips tend to be pooled. What you leave for the main waitress or waiter gets shared with everyone on the floor, including bartenders and, hopefully, the maître d’ and sommelier. That group can be quite large. A friend of mine who manages the wine program at a top Toronto restaurant tells me that tips in high-end establishments are increasingly being shared even among kitchen staff, not just the servers in the dining room, which I think is cause for applause. So, even though I’m not a high roller with a Lamborghini-sized credit-card limit, I tend to think of 18-per-cent as a standard tip at a fine restaurant. If service was mediocre, I might take off a couple of points, and if the sommelier was gracious, insightful and made me feel like a Hollywood star, I’d be inclined to go higher. That’s just me, and I know that tipping is a custom loaded with anxiety and sharp points of view. Sometimes the server is great and the sommelier less so, and vice versa. It’s a hard-working, high-stress business. If you want to show your love directly to the sommelier, that’s entirely appropriate, too. The way to do it is the way you would do it with the person behind the coat check or, say, with the maître d’ who magically snags you a table for eight on a night when the restaurant is “fully booked” – with cash. If you can’t find the sommelier on your way out, leave the tip at the door in the somm’s name. Also, fold the bill in half for discretion’s sake (or in half twice if you’re trying to hide a small denomination). Or leave it unfolded and wave it in the air if you want to come across like Donald Trump. a) First and foremost, avoid wearing perfume or cologne. It will distort your palate, which relies heavily on the sense of smell. Worse, other guests may give you the stink-eye. b) Wear dark colours. Trust me, this comes from experience. There will be much swirling and slurping. Red wine has a knack for finding its way onto a white shirt even if you use a tablecloth as a protective napkin. I was at a tasting recently where a server dropped and shattered a wine glass right behind my chair. I was wearing a dark-brown suit, thank goodness. c) Keep in mind that any food you eat can greatly distort the wine's taste – sometimes for the better, often for the worse. Go ahead and chow down if you want to, but don't write off a wine if it happens to taste bitter after an anchovy-pimento-caper canapé roll. For the price of a two-star meal, which can run higher than $300 per person with wine, you deserve some higher learning to go along with the food. In my experience, sommeliers love to answer questions about wine, so don’t be afraid to wave her over to the table from time to time. If you’re having a set progression of wines by the glass, can’t rely on her advice to guide you to a bottle that fits your stylistic preferences. In that case, I’d focus instead on a few take-home messages or shopping principles. You might be served five or six pours with a prix-fixe menu, and one selection might catch your fancy more than the others. There’s very little chance you’ll be able to find it at your local liquor store, because high-end restaurants tend to focus on specialty wines. Grab the somm’s attention, compliment her on the wine, then ask if she can recommend something more widely available that would come close in style. Another question: When you sense a particularly good or unusual match with the food, ask the sommelier how she came up with the pairing. What led her to that choice from among hundreds of bottles? You may learn a lot about the general principles of food-and-wine pairing – say, fuller-bodied wines with heavier foods, or sweetness as a counterpoint to hot or spicy dishes. Although you won’t be choosing wines for your meal, you might want to consider asking for a copy of the wine list. It’s the sommelier’s baby and she’ll be flattered. After perusing it for a while, when you next catch her attention, go in for what I consider the killer question. Ask her which wine she considers the best bargain on the list. More often than not, she’ll welcome your curiosity and rise to the occasion, because sommeliers love bargains as much as the rest of us and love sharing their passion. If it's a large crowd, bear in mind that it's virtually impossible to please everybody. So, don't sweat it – and enlist the sommelier's help, so you don't have to take the blame alone if somebody pronounces the wine a dud. Ordering for the table can be nerve-wracking. We rarely rely on one person to order food for everyone at the table, yet when it comes to wine, we do it all the time, expecting that one person's choice will meet a variety of expectations. Getting presented with the wine list might be an honour to some, because it confers social status, but I suspect that to most people it is, at best, a distraction. It can be a nuisance, too. Who wants to spend time leafing through pages of cryptic European vineyard appellation terminology when there's good conversation and eating to be had? Worst of all, the waiter or sommelier will likely return for an answer before you've had time to make it to page two of a five-kilogram, leather-bound tome. Take it easy. Tell the server that you like Beaujolais and red Burgundy (perfect, impressive choices that can span a variety of foods), but that you suspect some people, in keeping with the current trend, might like a wine with a little more heft. If it’s a good establishment, you’ll be flattering the server (in this case likely a trained sommelier) as well as possibly chancing upon a suitable and well-priced choice. Most good sommeliers would rather sell you a great offbeat selection they’re fond of rather than ratcheting up the bill with, say, an overpriced Napa cabernet. But if you suspect such help is on slim offer at your restaurant, go for the middle ground in terms of price and style. I’m guessing that most people will favour a red, so look for such words as Côtes du Rhône, Corbières, Minervois, Chianti, Valpolicella Ripasso, montepulciano d’Abruzzo, tempranillo and syrah. There are plenty of other good prospects, but I don’t want to burden you with five kilograms worth of options that you won’t remember. Restaurant custom dictates that the server defer to the guest who ordered the bottle. He or she will first display the label to ensure the brand and vintage date correspond to what has been ordered. Then comes the sample pour, enabling the guest to sniff and scrutinize for faults, such as cork taint (a musty aroma), volatile acidity (vinegar) or just plain tired and stale (often a sign it was cellared improperly). The best way to insinuate yourself here is to prevail on your dining companions to let you order the wine. If you’re concerned about coming across like a control freak (or, worse, wine snob), consider a subtle approach. Try a line like, “Hey, I’ve been to this restaurant before and have a few favourites on the wine list. Anybody mind if I make a few suggestions based on the table’s preferences and what we’ll be eating?” I find that people often are glad to be relieved of the burden. But, of course, it depends on the crowd. Let's say somebody in the group has already hogged the wine list and beaten you to the punch. You've got another option. "Hey, that's a great choice," you might say (flattery is catnip for wine snobs). "Could we do away with convention and let me be the first to try it when it comes?" Or you could try a more subversive approach. Tell your companion(s) that you've been reading up on wine faults and would love to test your skills in a formal setting, adding that if the wine turns out to be defective even after you give it the thumbs up, then you'll pick up the dinner tab. If you’ve got friends like mine, that last promise should do the trick. Just one caveat: Make certain that you know more about wine faults than your friends. Beer. (Just kidding.) It depends on the establishment, but there's something to be said for choosing the offbeat. Restaurants can't afford to have inventory collecting dust, unless we're talking about trophy wines that get more expensive as they collect dust. Wines made from uncommon grapes or wine styles that simply get little attention usually have been priced to sell. This can include oddities like ribolla from Italy or piquepoul from France, and it includes appellations like Toro in Spain. Why would a restaurant carry wines few people drink? Because of the sommelier. These wine experts, who control or assist in the buying, want to keep things interesting. They also want to carry selections they believe will pair well with the chef's food, and that may mean stocking up on Corsican sciacarello even if nobody's heard of it. Usually these wines are a point of pride for sommeliers, and the restaurant is likely to price them well because the sommelier wants people to share his or her enthusiasm. A restaurant could get by just selling wines based on popular grapes, such as cabernet sauvignon, chardonnay and pinot noir, but what fun would that be? Obscurity is no guarantee of value, of course. Some restaurants calculate a fixed percentage markup regardless of the bottle. But you’re more likely to get gouged by pinot grigio than gros manseng. The depressing short pour – I share your frustration. By drawing attention to the matter, you obviously risk being objectified as a lush, cheapskate or just plain jerky. But you have every right to expect a second glass equal in volume to the first. The presence of two pourers complicates your situation. A complaint will have the effect of painting the hard-working waitress as chintzy next to Free-Pour Willy behind the bar. It could backfire, too, assuming Shot-Glass Sally is in no mood for a challenge. She could argue that the bartender – not she – was in error with regard to volume, that you were already ahead of the game with that liberal first pour. Perversely, there is no guarantee of consistency at most fine-dining establishments. Virtually all but the cheapest places use glassware much larger than the serving size. The point here is to provide headroom for swirling and sniffing, which is a good thing. Five ounces should be the standard pour, but how do you know what you're getting? The upsetting issue here is that most bartenders and waiters do not use a proper measuring vessel. They simply aim for an imaginary line somewhere up the side of the glass and stop when they think they’ve reached it. You’ll notice they usually do this with a calculated air of conviction, which is part of the game (“I’m a pro”). But human servers do not have the precision of government-inspected gas pumps. (Imagine if they sold gasoline using the rough-guess method!) As we all know, the imaginary line has a funny way of moving up and down based on the person and the moment. Curiously, this doesn't happen much with beer. You know you're getting a consistent volume of brew each time you order – either a full glass or a standard brewery bottle. Remember, servers tend to earn most of their income from tips. They want you to feel satisfied. When they underpour, they usually do so inadvertently. (It’s the owner who stands to gain from skinflint service, not the salaried server.) They’ll probably conclude that an extra ounce or two of moderately priced wine is a small price to pay for a patron’s satisfaction. If the server balks, at least you’ve got your frustration out of your system. And you’ve got the last laugh: It’s called undertipping. It depends on your tolerance. I’m the sort who would ask for a spoon to remove the pieces myself. Small cork particles won’t cause harm or yield an off taste, though I’m not a fan of stray bark in my beverage. This is not a case of “corked” wine, by the way, which refers to an odorous taint produced by mould that has combined with chlorine during the cork-production process. Mere cork particles, on the other hand, are purely a physical and aesthetic nuisance. It's common for dried-out corks to leave behind a few stray remnants when the bottle's opened without sufficient care. They float, so it's easy to scoop them out with a spoon. No big deal. Most fine restaurants, when politely alerted to the unsightly problem, will replace your glass (assuming you’ve ordered by the glass). If you’ve ordered a whole bottle, they may remove the particles (by slowly pouring them into a glass and using the spoon technique) or replace the bottle with a fresh one. If the wine was Romanée-Conti, yes. If not, a gracious thank you would have sufficed. BYOB stands for bring-your-own-booze, and restaurants in certain jurisdictions are permitted to allow patrons to walk in with a sealed bottle of wine. The systems vary based on geography. In Toronto, restaurants that already sell alcohol can opt to let customers bring their own. In Quebec, BYOB is generally permitted only in restaurants that do not sell alcohol but are licensed to serve it. I'm assuming from your question that your friends surprised you with a special bottle and that there was no prior arrangement regarding whom, if anyone, was to bring wine. That's the key here. On the face of it, I'd interpret the gesture as a gift to be shared, so there's no debt, per se, on your part. But one generous act deserves another. It’s good to make some sort of gesture – short of whipping out calculators and prorating the bill based on the estimated current auction value of the cellared bottle. My first inclination would be to offer to buy the table a round of aperitifs from the restaurant, assuming it’s a thirsty group and there’s no tipsy-driving risk. That’s considerate toward the restaurant as well, since there are costs associated with BYOB service. The restaurant loses its fat alcohol markup – booze, not food, is where many high-end restaurants make their money. An alternative gesture is to offer to tip for the whole table, letting the restaurant simply divide the meal cost down the middle between two credit cards. There's yet another appropriate move. Most restaurants in jurisdictions such as Toronto charge a so-called corkage fee – often between $10 and $25 but in some cases as high as $40 – to cover costs associated with BYOB service. You could simply offer to cover the corkage fee, a nice, tidy solution. In the end it all depends on how well you know your friends and whether you suspect they were counting on being reimbursed. In my book, no one should come bearing a surprise bottle and expect to gain something apart from heartfelt thanks. For what it’s worth, I share your frustration. And I favour the pre-emptive-strike method (which I’ll get to in a moment) versus sending the glass back ex post facto, though in my experience many self-respecting restaurants are happy to offer a new pour from a freshly opened bottle. Restaurants with by-the-glass offerings are breeding grounds for tired wine, at least restaurants that don't refrigerate or otherwise protect half-empty bottles at the end of each night's service. You’re most likely to encounter an oxidized wine at the beginning of service, say, around 5:30 or 6 p.m., when yesterday’s recorked, tired bottles are trotted out for their next go-round. Be on the alert if you’re an early eater. My suggestion is to talk to your server – courteously – before you order. Mention what wine you’re considering, but add that you’re particularly sensitive to oxidized flavours and that you’d be happier with another wine choice if it were to come from a fresh bottle. A good restaurant will be truthful and even offer to uncork a new bottle of your first choice regardless. That’s been my experience. I happen to be a sitting duck for oxidized wines because I’m generally drawn to less-popular grape varieties and wine styles. If there’s a grüner veltliner or fiano on the by-the-glass list, it’s usually there because the beverage manager is particularly keen, not because hordes of people have demanded it. That wine, without the sales push of an equally keen waiter, might sit around for days before it’s fully consumed. Big-brand chardonnays and cabernets, by contrast, tend to sell themselves and thus move more volume. It’s categorically not a faux pas. Warm red wine can be unpleasant. It’s by far the most common wine nuisance in restaurants, where space is limited and storage temperatures tend to be less than optimal. Good sommeliers will generally be at ease with the ice-bucket request. Even at standard room temperature, such as on the main floor of a typical home, let alone a warm bottle stored near a restaurant kitchen, red wine will usually taste out of sorts, or at least far less than optimal. A five-minute dunk in an ice bucket will bring most styles alive by restoring balance between acidity and tannins and permitting fruitiness to come forward. Many exacting restaurants, I should note, do know to keep their reds slightly cool, which is to say close to cellar temperature. Good for you for requesting the bucket. Just make sure in the future that it’s not left to chill for too long – say, beyond eight or 10 minutes. Very low temperatures will mute flavours, and you don’t want to have to turn around and later ask your waiter to microwave the bottle. It would be unusual to serve a wine like that cold unless you were, say, stopping for a picnic while driving through Death Valley, Calif., with a cooler in your trunk. The wine you cite is based on the red tempranillo grape, the prominent Spanish variety also found in the famous reds of Rioja. While there are indeed some red styles in the world that can generally benefit from a strong chill in the fridge, notably the light-bodied, crisp wines of Beaujolais (based on gamay), I would not place your wine in that category. Most red tempranillos are medium-to-full-bodied and matured in oak – a profile classically designed to be served at room temperature – or, rather, cool room temperature. In fact, Cosecheros y Criadores, the winery that makes Casa Solar, suggests serving its oak-matured reds at 16 to 18 C, slightly cooler than typical room temperature of 22 or 23. That’s still much warmer than refrigerator temperature of around 4 degrees. Is he a mere label chaser or a curious enthusiast with deep knowledge? That's a critical distinction. Some people are keen on certain expensive brands and lofty appellations (because they've got the money to pay for them) but lack true encyclopedic knowledge and curiosity. These people don't need to bother "wasting" their time learning a lot about wine because they can afford to buy the obvious, expensive stuff. For this sort of person, I'd recommend an expensive red from: Bordeaux (any "grand cru classé" will do); Burgundy ("grand cru" or "premier cru"); Napa Valley (preferably cabernet sauvignon), Tuscany (Chianti riserva or Brunello di Montalcino) or Piedmont (Barolo or Barbaresco). In this case, the more you spend, the better your chances of landing a familiar label that will meet with approval. That typically means $40-plus, though you may find a good Chianti riserva for $25 to $30. Personally, I'd take a more oblique route and go for a red from the southern Rhône Valley – say, a Gigondas or Vacqueyras ($25 and up). A snob should be familiar with these cellar-worthy Rhône reds and may even be more impressed with your savvy. The other sort of geek tends to take joy in all sorts of wines. One of the most affordable snob-approved options is cru Beaujolais. Sommeliers tend to love the stuff – for good reason. This is the elite class of red Beaujolais from such villages as Brouilly, Moulin-à-Vent, Chénas, Fleurie and Morgon, all relatively light but wonderfully complex and food-friendly. You’ll see the village name prominently displayed on the label. They tend to sell for $20 to $30, and Morgon is arguably the top of the heap. Oh yes you do, my friend, unless you have reason to suspect the couple in question would be offended on religious grounds. It's best to call ahead if you are in doubt regarding the religion issue. Some people don't want alcohol in their homes, period, and homes are sacrosanct. But if it's just a case of people who prefer not to imbibe, you are entitled to honour their meal by enjoying it to the fullest, and if that to you means savouring it with pinot noir or chardonnay, take wine and mumble something to that effect. "We hope it's okay we brought this to enjoy with your meal. We love to have great food with some wine." The key, though, is to be circumspect around the bottle (or bottles) you bring. Keep the effusive wine-geek comments to a minimum. Non-drinkers will never understand the appeal, and wine talk will drive them into a coma. And be kind if they trot out tumblers instead of Riedel Sommelier series stemware. One more thing: Bring a corkscrew just in case they don't have one; much better to leave the wine at home than to suffer through a meal in plain sight of an uncorked bottle. For those dining at a restaurant under similar circumstances, make sure to kick in for the full cost of the wine when the check comes. If there’s one thing non-drinkers resent more than the presence of alcohol, it’s having to pay for it. There are many priorities and many people to think about when planning a wedding, but few will be as important to most of your guests as the drinks supply. Cardinal rule: Don’t run out. 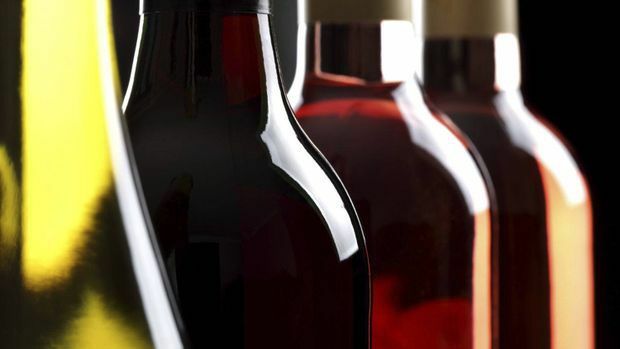 Keep in mind that many retailers, including large provincial liquor boards, will accept returns of unopened products typically within 30 days, providing the bottle labels have not been damaged from bobbing in coolers filled with melting ice. So, consider buying more than you need – and more than I’m about to suggest, assuming you can afford to fork out the money up front. Okay, this number may sound high, but for a wedding of around 170 guests I’m going to say 160 bottles of wine, or about 13 cases, minimum. That works out to almost two bottles per person on the assumption that half your guests will stick with beer. The number is not my prescription for how much people should be drinking in an evening (it’s not my job or desire ever to tell people how much to drink). It just reflects the fact that weddings tend to go long (I’m assuming six hours), and people tend to consume more than they would normally when there’s an open bar and dancing and toasts and multiple courses of food. Plus, I’m accounting for a bit of waste. People may try one wine and drink only half a glass before switching to another selection, that sort of thing. If that does sound high, bear in mind that I’m on the low side compared with some actual party-planning experts. For example, Martha Stewart Living a few years ago published a “party calculator” that suggested half a bottle of wine per person per hour (not including spirits as well as beer!). That would bring your total, assuming six hours, to 257 bottles. Even the conservative estimates are not far from mine. The Liquor Control Board of Ontario’s Food & Drink magazine also publishes an online party calculator. As you can imagine, the publication is keen to uphold its social-responsibility mandate, so its numbers tend to fall on the lower end. Indeed, its calculator tops out at three hours for a party (you can’t specify a six-hour bacchanal because this is the cut-the-party-short liquor board, after all). For a three-hour party of 171 people, assuming a 50-50 split between beer and wine, it recommends buying 69 bottles of wine. If you extrapolate that to six hours, you end up with 138 bottles – not too far from my minimum recommendation of 160. Congratulations. I hope the wedding is glorious. And I hope you don’t run out of wine (or beer!). You've raised a dilemma that plagues me (and I'm certain other readers) often. Many people remain tied to the notion that aluminum signifies cheap wine. They’d be surprised to learn than many exceedingly expensive wines – I’m talking $100-plus a bottle – twist open. It’s not a cost issue for quality wineries but rather a way to spare consumers from the scourge of cork taint, a foul-smelling, if harmless, pollutant that ruins many wines without warning. I have bestowed many a screw-cap wine on dinner hosts, so consider me a true believer (I am sensitive to cork taint and loathe it). But sometimes I feel compelled to mutter a lame apology. It usually goes something like this: "Hey, I brought you a really cool wine. It's got a screw cap, but, trust me, it's serious stuff. Don't try to empty it into the marinade when I'm not looking." That kind of spoils the grace of the gesture, of course. It's sort of like saying, "Here's your gift. I paid a lot for this sucker. You'd better appreciate it." That's why I prefer the term "serious" rather than "expensive." But people expect a wine critic to bring decent wine to a party, so they probably figure I'm being sincere. For most people eager to make an impression, cork, alas, is still the anxiety-free preference. If you’re fond of a particular screw-cap wine that would make a fine gift, though, you could try my approach and hand it over with a word of reassurance. You could even tell them that virtually all the fine wines made in New Zealand are bottled under screw cap. Or you could tell them that The Globe and Mail’s wine critic brings twist-open bottles to parties all the time. The tediously moderate answer is one, but that's not my answer. There are unstated assumptions here. Do you know the hosts well? Are they wine aficionados? Is it a weeknight or a more leisurely weekend party? Can you trust the guests won't pound back your two or three bottles and get behind the wheel? And, not least, are you concerned about getting to sample the wine yourself? Etiquette experts mostly agree that the wine you bring is intended for the hosts' cellar (or broom closet, as the case may be). They are under no obligation to open it. That's based on the assumption your hosts have laboured all day and, if they're keen about wine, prefer to honour the fancy food, and you, with an appropriate beverage. If you want to bring something to enjoy personally, consider bringing two bottles, being careful to announce which one is for the house and which one for the table. This presumes you know the people reasonably well. You could also call in advance to ask if they'd appreciate a specific wine style for the meal – cabernet for roast beef, for example. This telegraphs your intent, in which case you can just bring one. All things being equal, it’s often not out of place to bring two anyway, assuming you can afford it, because more people drink wine today than in the past. It’s not necessarily a sign you’re a candidate for rehab. Take my experience as a guide if you will: I’ve never been turned away at the door for bringing too much wine. I can think of three fun approaches. The first is known in wine circles as a "vertical" tasting in which you compare several vintages of the same wine. The second involves comparing different regional expressions of a single grape. The third is wines with cheese. In a vertical tasting, you focus on a single wine - say, Frescobaldi Nipozzano Riserva, a popular Chianti from Tuscany. The idea is to taste through several vintages, or harvest years, of that wine to get a sense of how weather conditions in each year affect the grapes and, ultimately, the wine. (The harvest year is marked on the label, of course.) Hotter years produce fruitier, more full-bodied wines, while overcast years yield lighter wines high in acidity. The problem with this theme is that it can be difficult to source several vintages of the same wine unless you have been buying and storing successive vintages for years. A more convenient theme is to compare one grape - say, riesling, pinot noir or cabernet - across various regions. Rieslings from Germany, for example, tend to be sweet, yet they're often balanced with mouth-cleansing acidity as well as a suggestion of minerals (which you may interpret as a tingle or the flavour you may have tasted if you licked a rock as a child). Rieslings from Alsace, a sunny region of northeastern France, tend to be fuller-bodied and opulent, yet essentially dry. Rieslings from Australia will almost invariably be bone-dry and racy with lime-like acidity. Good rieslings from Ontario or British Columbia will usually fall somewhere between the German and Australian styles. These differences are typically due to weather and soil conditions, what the French call "terroir." There are many other globally popular grapes to choose from. I'd also suggest syrah, sauvignon blanc or chardonnay. Another good theme is wines with cheese. You and your friends may be surprised that certain white wines, notably sauvignon blanc and gewurztraminer, generally taste better with a mouthful of cheese than reds. Do we know each other? Because I believe you and I go to the same sorts of parties. I’m kidding about having met you, but the scenario you cite is not unfamiliar to me and, and I’m sure, to many readers. Yours might be the case where the hostess herself is liable to uncork and generously offer your Château Chichi to the group. Or it might be that your bottle is in danger of getting lost in the BYOB shuffle at a large fête only to be intercepted by a tipsy guest who believes it to be nothing more grand than a $12 malbec, a bottle of which you also brought for the sake of the crowd. It is, of course, the hostess’s prerogative to serve or not to serve, assuming you manage to get the bottle into her hands in the first place. But to you it might still feel like a bummer – a cellar-worthy gem gone in the blink of an eye, and much before its time. Worst of all, if it’s a big shindig of 50 or 60 guests, a single bottle won’t go far, especially when dispensed into large red plastic beer cups from Dollarama. There’s nothing wrong with making your intentions blatant. This means going beyond simply verbally telling the hostess you’ve brought her something for her cellar to be opened at some future anniversary or birthday. Before you arrive, label that bottle as conspicuously as you can. A greeting card affixed with tape is insufficient; like hats and matching scarves, the two have a way of losing each other at parties. Better would be to securely affix a neck tag, either with string or a rubber band. You can be lighthearted with the note, too. Permit me to recraft your question before I answer it. As we know, consuming alcohol in public is a capital crime in most parts of this country (or something close to a capital crime). Aside from a couple of traffic tickets I didn't deserve, I enjoy a clean judicial record with Her Majesty and have a job to keep, so I refuse to be an accessory to unlawfulness of any sort. The question I will answer is this, then: How do I pack a good, wholesome carton of fruit juice for a summer walk or picnic? A Thermos bottle, preferably glass-lined, is your best bet. This being summer, you're probably considering white grape juice rather than red, which tastes better cold than red does. I would go so far as to drop two ice cubes (gently) into the Thermos. You'd be surprised at how the juice will not taste significantly worse as a result of the melted water. If you don't own a Thermos, wrap the carton in several plastic bags, which will create insulating layers of air. A thick, sealable freezer bag is a good first layer if you want to throw a few ice cubes in, assuming you trust the seal and want to stuff the bottle in your purse. Plastic cups are a must. Better still, try plastic wine tumblers from govino (govinowine.com), which are shaped like those trendy stemless wine glasses from Riedel, but with a finger indentation that will secure your grip should slippery water condense on the side of the glass. Yes, I did say “wine” glasses, but these tumblers work just as well for non-alcoholic juice. There’s even a new sparkling-wine model from govino that features the long bowl of a Champagne flute. These work nicely for sparkling non-alcoholic cider.